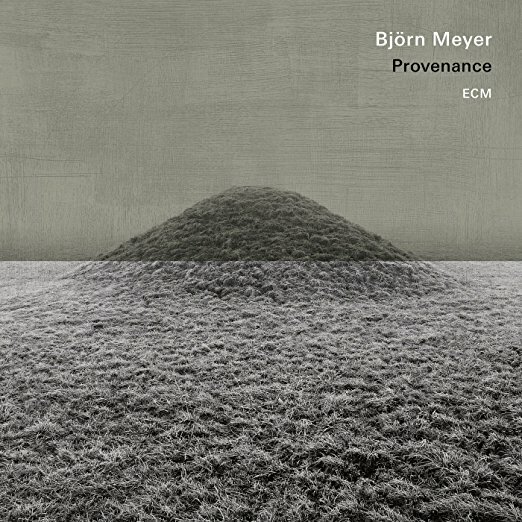 The new album from Sweden’s Björn Meyer, 12 tracks of solo electric (and acoustic) bass guitar, raises a similar question. Can such apparently meagre ingredients sustain the listener? Surprisingly, it can. With just one guitar, four strings, and a fretboard, Provenance demonstrates that melodic high-jinks and emotional intensity aren't just for those who inhabit the treble stave. Meyer's bass sings. The electric bass often has a straightforward role in jazz providing the (vitally important) rhythmic scaffolding. There are, sure, a number of electric bass players (Clarke, Pastorius, Miller, et al) who have moved the instrument front and centre and shown its true versatility. But they did it in bands. An electric bass, unadorned? That’s a trickier prospect. Perhaps only Swedish Jonas Hellborg’s projects come close to squeezing all the musical juice out of the electric bass in such a fashion. His compatriot Meyer has picked up the baton and, rather bravely, said to himself "It’s all I need". This doesn’t sound like an album of solo electric bass, in the way a Hellborg album obviously does. Provenance has more in common with a classical guitar recital, with only the odd bass thump giving away the source of the otherwise gossamer thin, delicate sound. Sans drums and any rhythmic accompaniment (but augmented by the lightest touch of electronic spice), the beauty of the instrument is evident. Crucial to the clean sound is the studio space itself. Auditorio Stelio Molo in Lugano creates an acoustic playground in which the electric bass, unfiltered, can soar and liberate itself. 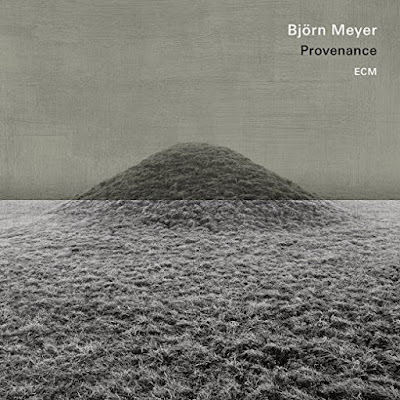 Meyer himself describes the room as “the second member” of this solo project. The simple opening to track six, Pendulum is a case in point: four harmonic tones ring out and swirl like a distant church peal on a lazy Sunday morning before Meyer takes off the handbrake and charms with the simplest patterns. There are no hard edges or difficult passages here. Just pure, unadulterated tone and layered repetition. The track is haunting in its simplicity but also very, very relaxing. There’s little apparent jazz ‘feel’ to this album, but in order to get the most from what little colour is available on his tonal palette, Meyer clearly has had to be inventive in his chord choices and his playing style. A track like Pulse demonstrates what variety can be wrought from sparse resources. Low-end rumbles mix with a harp-like twang, creating a sort of Zen-like incantation which brings to mind the backing music on a relaxation CD, but done with purpose and élan. If you want Marcus Miller-like bass pyrotechnics, this isn't the album for you. It almost defies you to believe at times it’s a bass album, and that’s its strength - a lightness of touch from the heaviest of instruments. Simple progressions and slow-burn melodic growth characterises a track like Dance, layer after thin layer of thin musical lacquer building into a glorious, shining finish, but you don’t feel or sense any progression. This is not an album to listen to while driving or in company. Simply sit, listen and absorb. Provenance is the first ECM album solely devoted to electric bass, and it’s worthy of being on their roster. An outlier, perhaps, but one that deserves attention.